It is ideally suited to applications where small quantities of adhesive are required repetitively in..
5.0/5.0 Based on 194 reviews. This tool is fitted with the standard MDJ016 nozzle, valve type: Oiler which may cause the glue to d..
5.0/5.0 Based on 12 reviews. 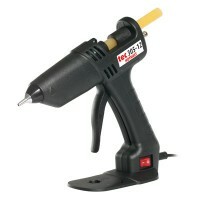 The Tec 810-12 is a heavy-duty, industrially-rated 12mm glue gun that has very high glue o..
5.0/5.0 Based on 41 reviews. 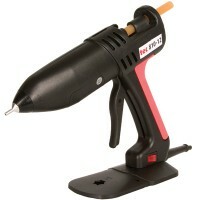 Need a glue gun for arts & crafts? We have the glue gun you're looking for, our glue guns are perfect for Arts & Crafts as these can use colour or glitter glue sticks for adding that extra sparkle! 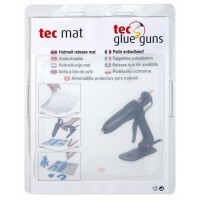 Our low melt glue guns are perfect for schools and reduce the risk of burns. Can these glue guns be used by children? 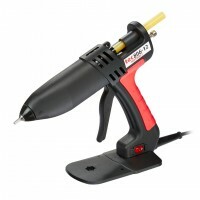 Yes, our range of arts and craft glue guns, like the Tec 305, are lightweight so children can use the tools with ease. However, we advise that children must be supervised by an adult. What can these glue guns be used to make? Our range of arts and craft glue guns can be used in a wide variety of projects: everything from making birthday cards to creating professional artwork. We're always interested in what our customers use our products for, so if you've produced a particularly interesting piece of art, or crafted something special, then feel free to send us a picture!